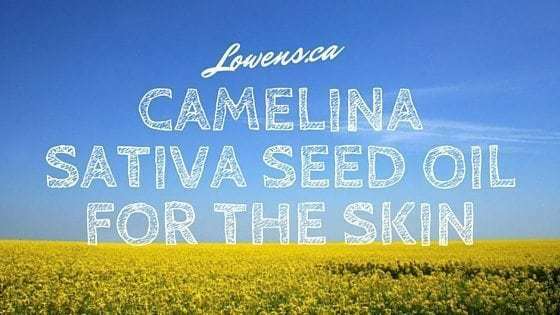 Camelina oil has been used for centuries for medicinal purposes, for food and for lamp oil during the bronze age and is native from Finland to Romania and east to the Ural Mountains. 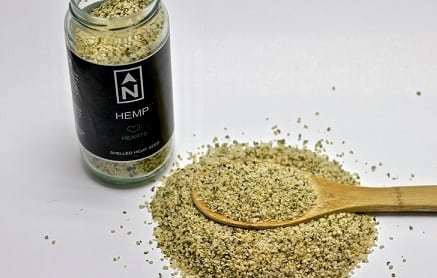 The seeds were simply crushed and the oil released. It is considered a weed in much of Europe, known as false flax or gold-of-pleasure, but don’t let that fool you! 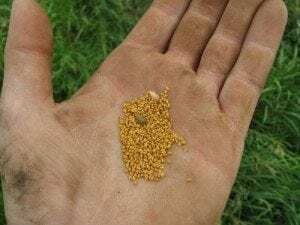 Since it can be grown with few input costs and under marginal conditions, a greater interest has been taken in producing Camelina Oil crops. You might be wondering what all the hype about Camelina oil is and we would like to break it down for you! Camelina Oil is a rich source of alpha-linolenic acid, an omega-3 fatty acid. This is combined with a unique antioxidant complex makes this oil incredibly stable and highly resistant to rancidity and heat. Although, Camelina is referred to as false-flax, unlike traditional flaxseed oil, it belongs to the Cruciferae family of plants, and has a better taste and higher stability than flax, making Camelina the better flax option! Camelina offers incredible health benefits when ingested, but did you know that it has some incredible benefits when applied topically to the skin as well? As the name implies, essential fatty acids cannot be produced by the body so they need to be ingested or applied to the skin when treating skin conditions. Anti-inflammatory Benefits: One of the most important benefits of essential fatty acids are their powerful anti-inflammatory effects on the skin. Skin conditions such as psoriasis and eczema are inflammatory conditions that cause redness, itching, dryness and chafing of the skin. The anti-inflammatory action of the essential fatty acids, present in our products, helps to relieve and soothe the skin as well as provide a healthy barrier that prevents bacteria from entering chafed, broken skin. Polyunsaturated fatty acids (omega-3 and omega-6) are essential for the appearance of healthy skin as well as proper skin function: In humans an essential fatty acid deficiency results in dermatitis (scaling and dryness of the skin) as well as transepidermal water loss. Enhances skin barrier function: Healthy barrier function is essential for survival, as it prevents bacteria from entering the skin. This is especially important in newborn and preterm babies. There is increased water loss and lower skin surface hydration in newborn skin compared to infants between 1 and 6 months old. For this reason, it is critical that you apply products that are not only gentle to the newborn’s skin but it is essential that they help to improve and maintain a healthy skin barrier function. Here Chad explains just how well Camelina Oil worked for his baby girl! Protection against Photo-oxidation: Tocopherols (AKA Vitamin E) in Camelina Oil have an important antioxidant function for the skin. These antioxidants may reduce UV-induced photodamage, signs of skin aging, as well as inflammatory skin responses. Topical application can be more effective for the skin than ingestion: The incredible thing about topical EFA formulations is that they have the same, if not better benefits for the skin when applied topically, as when you ingest them. Now that you know some of the amazing benefits of Camelina Oil for the skin, why not treat yourself or a loved one to our skin products, containing a healthy portion of unrefined, cold pressed Camelina Oil, this Christmas! One of our favourites is our Rub It In Why Don’t Ya! (RIIWDY) lotion as you can experience the awesome benefits of Camelina Oil head to toe! 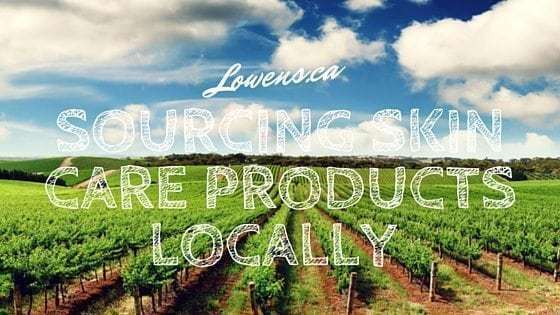 We are firm believers in sourcing only the most, natural and sustainable products all while supporting small local business such as ours. That is why Three Farmers is our choice when it comes to obtaining only the best oil for our products.